Now, with great reverence to The Graduate, we at Blogging Out Loud have two words to say to our readers that foretell the future of marketing and retail: 3D Printing. With half of all homes in developed economies expected to own a 3D printer within a decade, per Autodesk data, those two words are no longer futuristic buzzwords. Look at what just happened last week with NASA and 3D printing as an example of how the technology has “taken off’. On Tuesday, November 25, the International Space Station’s (ISS) newly installed 3D printer manufactured the first 3D object ever printed in space—a faceplate for a printhead extruder on the printer itself. It was an incredibly exciting event, not just for its historical significance but also because of its implications. NASA experts theorize that in the not-too-distant future, space missions will be longer lasting because, thanks to 3D printing, they will be self-sustainable. Rather than expending resources on sending rockets up with replacement parts, NASA will simply email part specs off into space and lo! The 3D printer makes it real. Space exploration can be expanded too—especially once the ISS’s 3D printers start printing food. Seem far-fetched? It’s already in the planning stages. 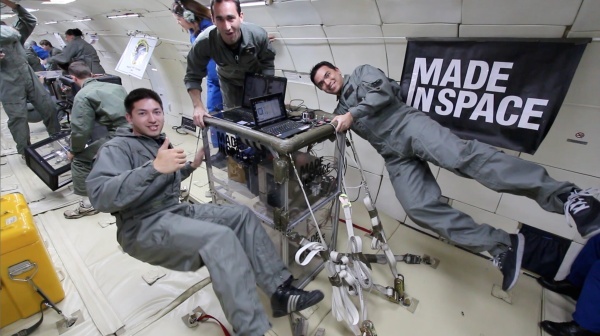 NASA has awarded a Small Business Innovation Research (SBIR) Phase I contract to Systems and Materials Research Consultancy to study the possibility of using 3D printing for making food in space for extended space missions. “Every home within 10 years—probably less than that—will have its own 3D printer, just as many homes now have a 2D or laser printer,” claims Andy Bird, Chairman of Walt Disney International. 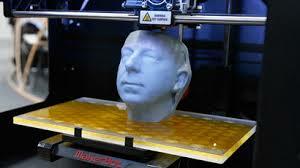 The global demand for 3D printers is set to rise 20% annually (RnR Market Research). Taking it down a notch, what does this historical event really mean for those of us who spend our days with our feet planted firmly on the ground, rather than orbiting around Earth 240 miles up? For marketers, 3D printing opens an entire new world of branding possibilities. 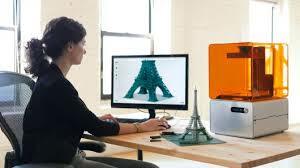 Research agency OnePoll surveyed 1,000 U.S. consumers and found that one in three Americans would consider buying a 3D printer for their home. Each year, 3D printers are becoming more affordable than ever for the everyday consumer, with the most basic models starting at an almost unbelievable $100. Price drops not withstanding, 3D printing still has significant drawbacks for home consumers, including the accessibility, variety, and cost of the materials the 3D printer uses to create the desired objects. And that’s part of the reason, experts say, why consumer 3D printing is thought to be more than five years away from mainstream adoption. But clever marketers’ 3D branding innovations don’t have to be limited to whether or not consumers actually have 3D printers in their homes. Many forward-thinking companies have already begun using 3D print technology as a way to expand their brand recognition. Gaming companies have been among the first to do so. 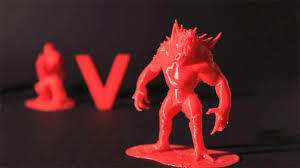 2K Games and Turtle Rock Studios are using 3D printing as a way to build excitement for the highly anticipated monster-hunting video game ‘Evolve.’ Players who own 3D printers can print the 3D models of the main characters and monsters for free by simply going to the 2K Games website, selecting their desired character and then clicking on the ‘3D Print File’ button. No 3D printer? No problem. The site gives instructions on how to use a third-party 3D printer and have your model shipped directly. Another example: Hasbro has partnered with Shapeways to develop and commercialize 3D printers later this year for children’s toys and games. The partnership allows Shapeways members to design their own unique 3D printed versions of popular Hasbro toy characters, such as My Little Pony models, which they are then licensed by Hasbro to sell online. In 2013 Volkswagen Polo and DDB Copenhagen used 3D printing technology to host an innovative contest that drew in hundreds of participants (aka, potential customers) . The company invited consumers to become car designers—no home 3D printer required. Participants in “The Polo Principle” campaign used the automaker’s 3D printer, via a website, to design their own versions of the Volkswagon Polo. The most creative ideas were then 3D printed and exhibited in Copenhagen. The winner of the contest saw his car design turned into a real-life Polo. A few years ago 3D printers were a novelty to “ooh” and “ahhh” over. Now, marketers view them as real—and effective—tools to incorporate into their branding efforts. Coca Cola, EBay, and Nokia have all leveraged 3D printing with remarkably successful results. 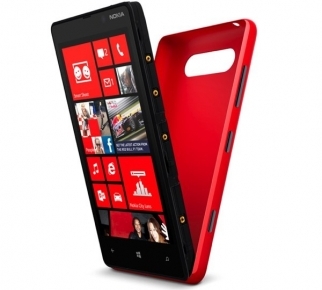 Mobile phone manufacturer Nokia made available a 3D printing kit so its customers could print out customized covers for the Lumia 820. What does the future hold for marketers in terms of using 3D printing to enhance their brands? One of the marketers’ key goals is to provide consumers with an interactive brand experience. Social media has proven to be a phenomenal tool for brands to increase engagement with their audience. 3D printing can take that concept to the next level—think product personalization. With 3D printing, every consumer has the ability to customize a product exactly how he or she wants it, to “own” it. The result? A deeper and more positive connection with your brand. Or, what if a consumer could easily and almost instantly hold in their hands something they see advertised online? A dress featured on a store’s website becomes a fabric swatch that a potential buyer can feel to make sure they like its texture before they order it—and eventually, it may be possible to 3D print the entire outfit from the comfort of home. Here’s a fun one: you arrive at the resort for your long-awaited vacation, and in your room you find a 3D printer that instantly creates a customized pair of sunglasses, just for you. What are the chances that the next time you book that get-away, you’ll think of that resort first? 3D printing technology has evolved so quickly and so successfully, as evidenced by the success of NASA’s ISS 3D printing venture, that it will change the landscape of the way goods are distributed—even the way we as a society do business. And like the Internet and social media before it, 3D printing provides marketers with new opportunities to create real, innovative, interactive, and ultimately limitless opportunities to enhance their brands in the heart, minds, and hands of consumers. 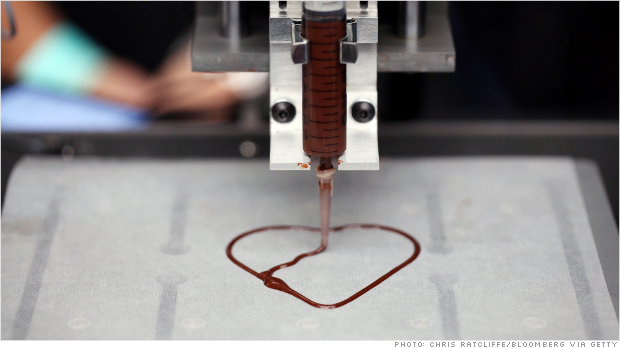 Rumor has it Hersey is currently working on a consumer 3D printer to create chocolate treats. No word on when it will be available at this point. What innovative ways would you use 3D printing technology in your brand’s marketing campaign? What excites you most about 3D printing? We’d love to hear your thoughts in the comment section below. Thanks for sharing and inspiring us! The applications of this technology are limitless. Its like something out of Star Trek. Beam me up Scotty! All of it is intriguing. And while the current and next few generations won’t be around to see it all the possibilities come to fruition, our descendants will! I simply cannot wait to strategize the upcoming marketing programs involving 3D printing. As a prize, a premium, a gift with purchase, an “instant” delivery of rewards, whatever it may be, this will open up the gates of creative marketing in a way that we haven’t seen in our lifetime. You are so spot on! Clever, creative minds will incorporate 3D printing into marketing campaigns in ways we haven’t even thought of yet! It’s fun to imagine how…and even more fun to actually see it happen! Okay, wow, do I love this post. I’m facenated by this technology. It really has the potiential to involve the consumer creatively in you brand, which takes the brand from the position of “selling” into the postiion of “enabling” – enabling creativity, enabling involvement, and changing the role of consumer into that of brand ambassador – and doing it all in a way that is fun and exciting for both sides of the equasion. As 3D printers move away from autocad as their file of choice, and beging to interact with more widely-available 3D creative programs such as Z-brush, I think we are going to see an explosion of promotions of this type. Imagine holding a contest for “The Hobbit” where consumers submit their designs for a maquette where the winner gets a 3D printed and professionally painted version of their design? Or a coca-cola promotion where consumers design christmas ornaments which are then printed, placed on a tree, and gifted to charities in need of Christmas decor? The possiblilites here are endless. The technology is still nacent – as the article states, it can be expensive, and the amount of time that it takes to 3D print something can be prohibitive (it currently is more of a prototyping process than a manufacturing process), but as the technology matures look out – I really think it is the wave of the future. I agree–3D printing is the wave of the future. And its implications are beyond what anyone can foresee. Imagine: with 3D printing, it may be possible at some point to radically reduce or even completely eliminate typical transportation issues, i.e. 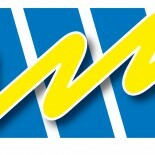 : shipping in goods from China. There are already many companies that are exploring ways to print large items directly. One company is experimenting with printing a car! A working car! Of course, right now we are sort of in the “wild west” days of 3D printing. We will need to figure out what is ethical (printing guns, for example) or what is safe (what are the long-term effects on the human body from consuming food produced by a 3D printer?) In any event, future generations will have to develop parameters that ensure that 3D printing is safe without inhibiting its potential. Interesting blog post, check this out –> “The White House teamed up with the Smithsonian to make an exact 3D replica of President Barack Obama. Wow!! That is really cool! I’d love to have one done of me, too! You know, are people we don’t really “know” what we actually look like–we only see ourselves in mirrors or in photos. This would be a neat way to see what everyone else sees when they look at us. I guess 3D printing could eventually put Madame Trousseau’s Wax Museum out of business! This entry was posted on December 3, 2014 by Kim Haman in Uncategorized and tagged 3D printing, Branding, innovation, Interactivity, Marketing, Promotional tools, tech, Technology, Trends.